Tis the season… – Helen, Naturally! I hope all of you had a very blessed Thanksgiving, and that you are all like me now…..totally swearing off food for the next three weeks in preparation for Christmas holidays! I totally ate too much, and no I do not have any food photos to share with you. When I posted that I was taking a break, I really did! 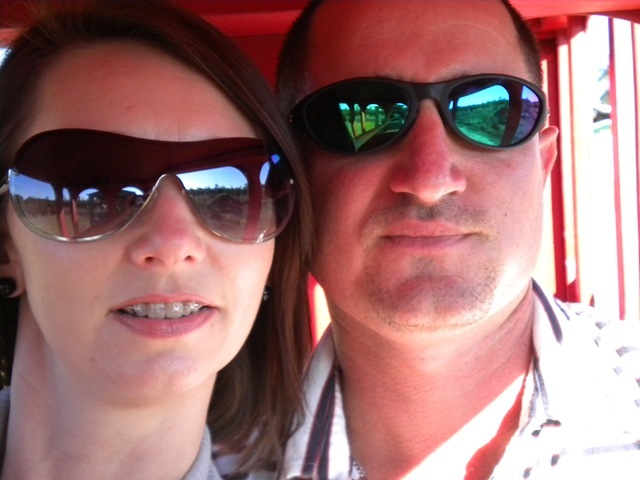 But I do have these photos…..
We visited the tree farm on Thanksgiving day. We were in desperate need of a Christmas tree! This was the first Thanksgiving break that I have had in probably seven years that didn’t have a Christmas tree up and decorated before Thanksgiving day. Due to me working the first three days of last week the boys were not home. You can’t do the tree without them. Well by the time Thanksgiving day rolled around I was having tree withdrawals. 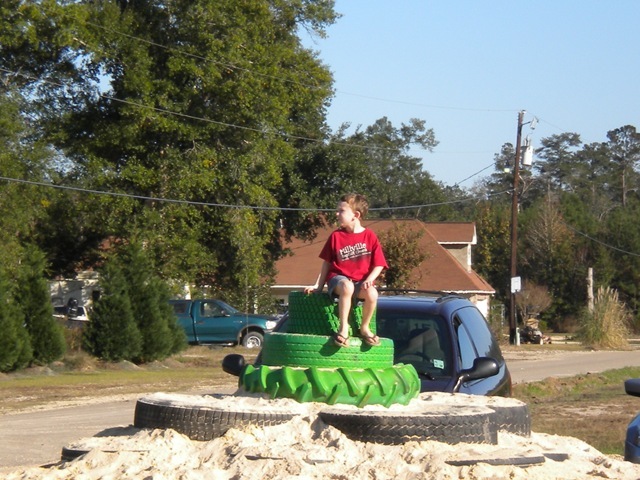 We played on the playground area while we were there…. 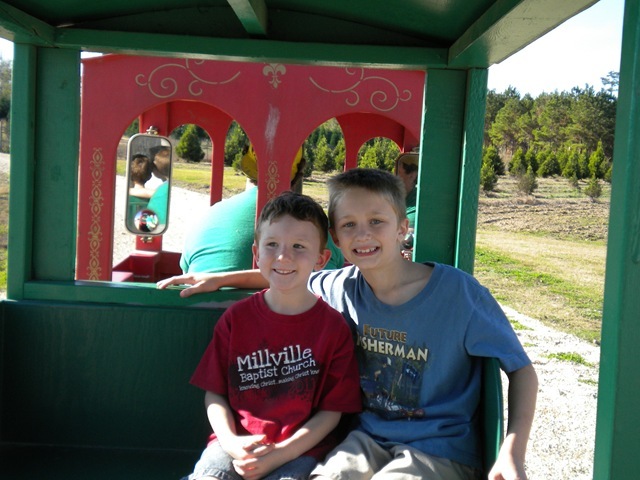 Then we hopped on the train to head out to the fields for some tree shopping! 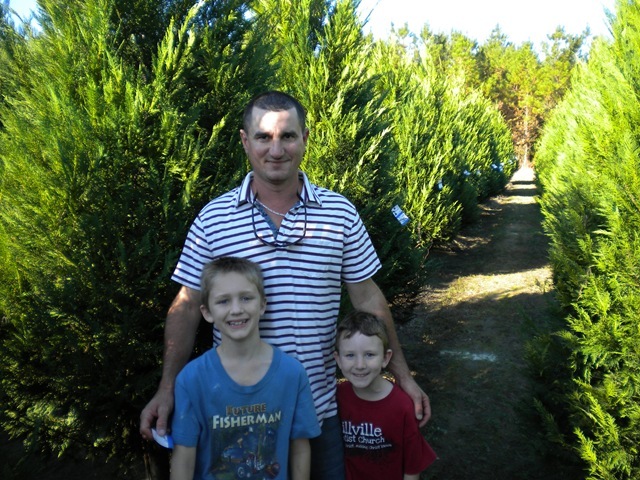 The farm has cypress trees that they grow themselves, then they have some Frasier firs that are shipped in from NC. After much debate we picked out our tree. I had the boys pose in front of the tree for a photo. 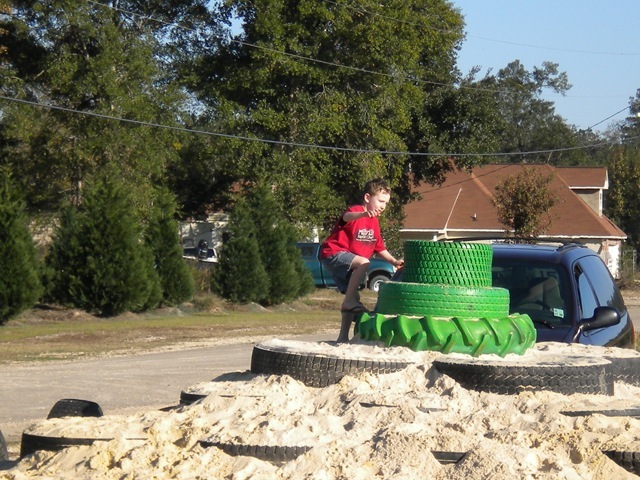 BUT……….that’s not the tree we ended up getting! The hubster decided he wanted one of the NC trees because it had that tree smell to it. What the…..I spent an hour in a field, in heels, just for you to decide to pick a tree that was set up front by the office!!!!!! 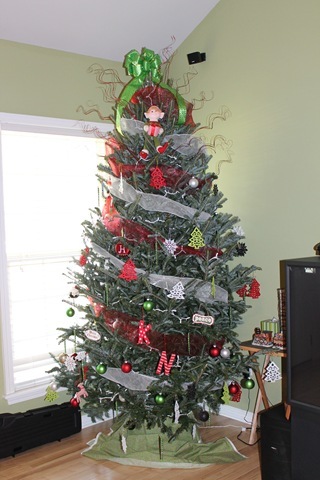 So we bring our, ahem…..90$ tree home! I mean really!! Yeah and he says I have expensive taste…..
And we lovingly decorated it with all of the new ornaments I purchased this year. I think the tree probably costs close to the same amount that Santa is planning to spend on gifts, but whose counting right! We each have an initial on the tree for our names. I decided I wanted to go with a classic red, green, and white theme this year. I wanted it to be old country Christmas style, with a little modern twist. So we have some basic ornaments then a crazy tree top with red spiral things, a bright bow, and an elf. I love the elf. It ties the child theme into the grown up tree perfectly!! Up next was the mantle. Which due to the price of the tree is now a little bare. Hopefully I can add a little garland to it when pay day hits again. 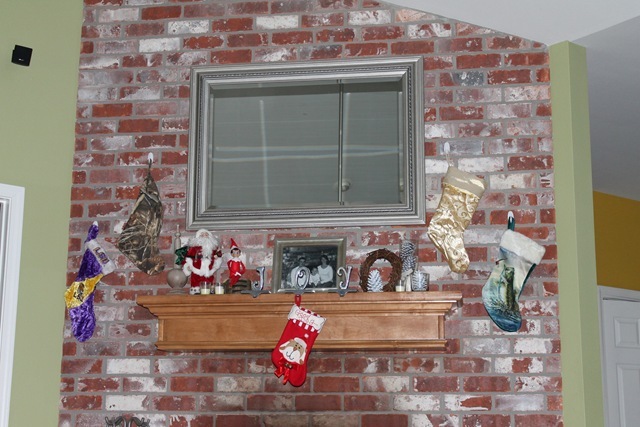 Stockings were hung around the bricks with command hooks this year as opposed to the stocking hangers we usually have on the mantle. We always have to take them down when we build fires in the fireplace so I opted to hand them on the bricks this year. Then Max made his debut on Friday morning! Max is the elf. We love Max. He gives me a little peace in the house for several weeks. All I have to do is say “Max can see and hear you” and the boys promptly listen and behave. 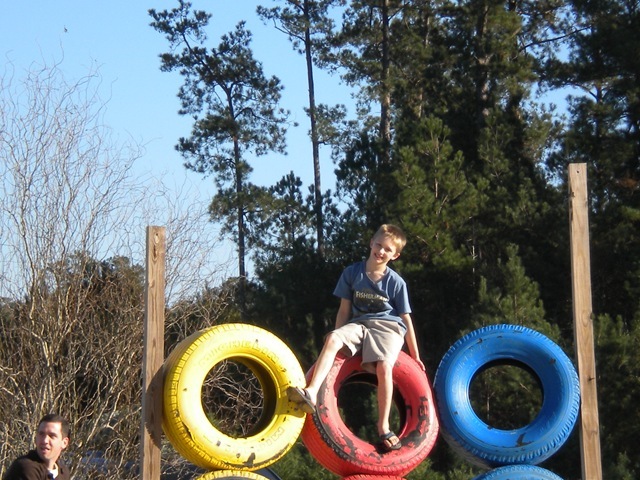 Whoever came up with The Elf on The Shelf may be a little crazy, but to a mom of two boys….. I think it is genius! Not sure what The Elf on The Shelf is? The little elf doll has a story book that comes with it. The elf is sent by Santa the day after Thanksgiving to watch over the boys/girls of the house. He flies back to Santa every night with the daily report. You can also talk to the elf and tell him things you would want Santa to know. The first thing you do when you get your elf is give him/her a name. They come in red and green, and you can get different hair colors as well. It is pretty darn cute! He stays until Christmas eve, which is when he flies back to the North Pole where he lives the remainder of the year, with all his elf friends. 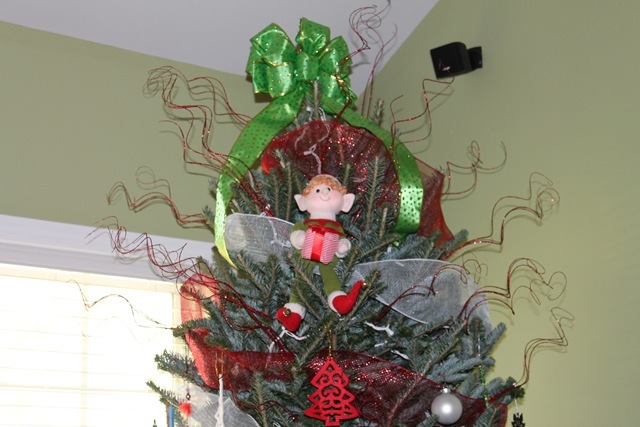 The hardest thing about the elf – you have to move him every morning before the kiddos get up! He is suppose to move in different spots and the children are responsible for finding him every morning. Yeah, Max has already forgotten to move once this year….. So if you want a better explanation you can Google the elf. Or just go visit your local book store. 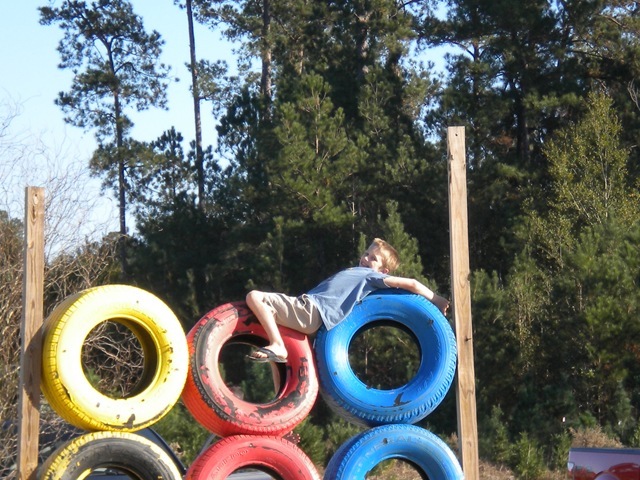 I think it is a fun little tradition for the boys. They anticipate Max coming every year!! I love the elf on the shelf. I remember reading about it on a forum a few years ago, and I think it’s so cute. When my niece was 4 or 5 and she was having a tantrum (yeah, she had some doozies), my brother would use his cellphone to call the landline and answer: “Hello? Oh, hi Santa!”. Instant stop to the tantrum. Ha! Too cute! 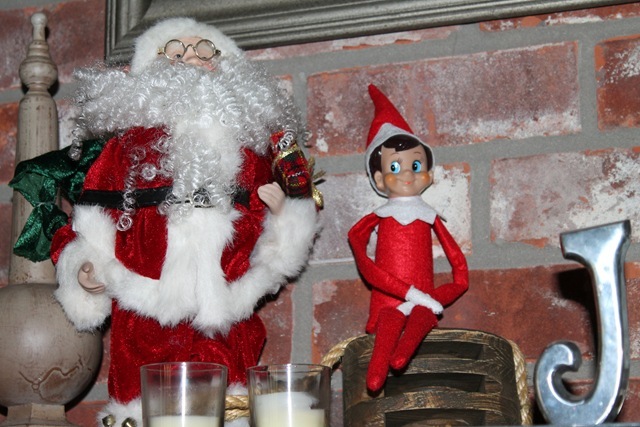 My husband asks if the elf can stay year round…lol! 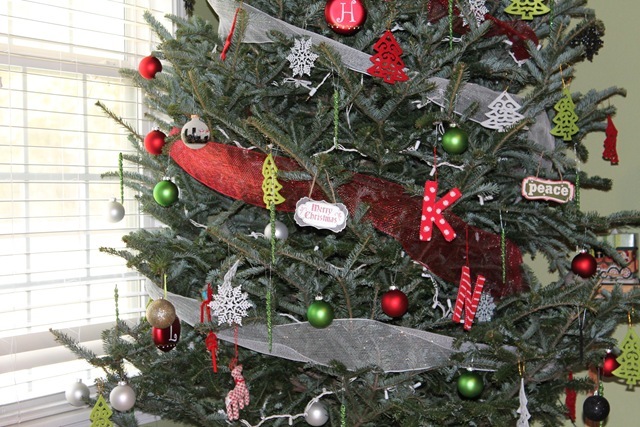 Haha I’m glad I’m not the only one who has decorated their tree! Well technically I only did the one at my parents house. Mine is going up this weekend! It is great to be back! I also love the Elf! I will definitely be getting one of those when Lincoln is older. Oh the elf is so much fun! !